You must make reservations at least 5 minutes in advance of the time at Le Provencal. Street parking, valet and city parking lots are available. We will pay for one hour at lunch and two hours at dinner in city parking lots. Le Provençal is a perfect venue for business and family events. Whether you are looking to hold a private business meeting or host a family celebration, our team can help. Please call us to discuss our range of services and customizable options. 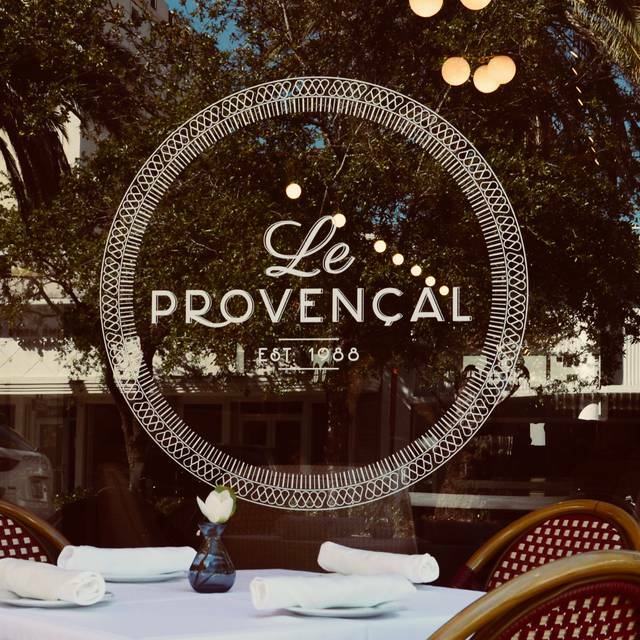 Le Provençal Restaurant has been serving authentic French cuisine in Coral Gables since 1988. We are proud to continue this tradition of bringing you the flavors of Provençe prepared with local ingredients. 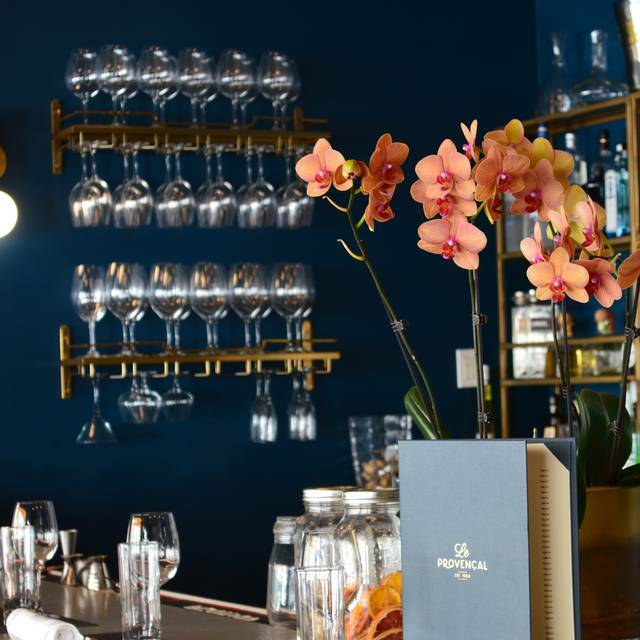 We offer a full bar and an extensive French wine selection. We are conveniently located on the 200 block of Miracle Mile steps away from the Miracle Theater. Street parking on Miracle Mile and cross streets is available along with city garages near by. Te food is VERY good, and the Grand Marnier souffle is to DIE for!! A great choice of food and we felt like we would like to come back to try more dishes. Service was good but the waiter staff failed to ask if we needed anything else and there was a long delay in service of the dessert ordered at the beginning of the meal. The three course meal was delightful, slightly smaller portions but a good value. Excellent as usual. Always a treat and wouldn't hesitate to go back for any occasion. Great food! We had a wonderful meal! Bloody Mary wasn’t good. Young waiter was inexperienced. The chorizo in the Spanish omelette was the size of Bacos. The food and service was great. It's beautifully decorated. Excellent service. Something I rarely come across in Miami. Food was delicious. Price was just right. The decore is beautiful! I book an upcoming family dinner while I was there. I will be back often. 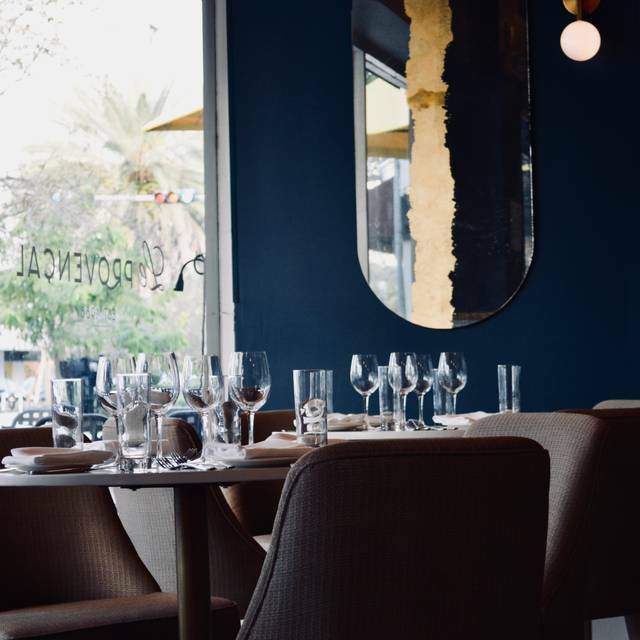 A Coral Gables gem has been reborn with a fabulous new and excellent menu and an extraordinarily friendly waitstaff. Nice atmosphere and good food but service was terrible. Not sure what was wrong but extremely slow. It was overall an amazing experience and I can't wait to go back. I used to frequently dine here but hadn’t in the last 2 years. Unfortunately, the place has changed completely. Not the traditional French restaurant. Very disappointing and will not return. Food quality is not the same. All in all a good evening. Hi Anonymous, We strive to provide the best value proposition for our guests. We are disappointed we did not meet your expectations. Please reach out to us with your specific feedback so that we can improve our offerings. Thank you for dining with us. The food is always excellent. I love the ambiance and sitting outside people watching. We have been coming to this restaurant for over 25 years and it was always outstanding. It has recently been bought by someone else and they unfortunately have changed everything. What was once a fantastic place with quirky furniture and decor, along amazing food. Is now nothing more than a typical dinner restaurant. It has lost all of it’s charm and character which made it unique. I don’t think I will be going back any time soon. It was my parents’ 44th wedding anniversary and they raved about everything from the food down to the service. Thank you! Looking forward to an improved dining experience with restaurant under new ownership the past year or so, the maitre d was welcoming and excited to have is . The waiter was inexperienced and really didn’t know proper serving etiquette . Most importantly the food was disappointing and only fair. Onion soup hot and good. Pork pate ok . Lamb shank was not appealing with gooey sauce poured over. Rice on side was awful. The blackened mahi fish had curry on it and was rubbery! The food was mediocre. A real disappointment. Apple tartine was over done and the “lava type” cake was underwhelming. We walked away saying this was not worth another visit. Our order was simple yet excellent. The service was very good. The setting is beautiful. We were a big party of 14. Everything was fantastic. Great place for Saturday lunch. A hidden gem. Who would have thought that i felt like I was in Paris, while dining in Miami? Marvelous, and fantastic place. Was expensive for the amount of food you got even though the food, service, atmosphere was great. Food was amazing service was great. Sat outside lovely night. Best meal we had in Coral Gables. Very good service, good food and great ambience. We had not come here in years and were surprised by the new look. 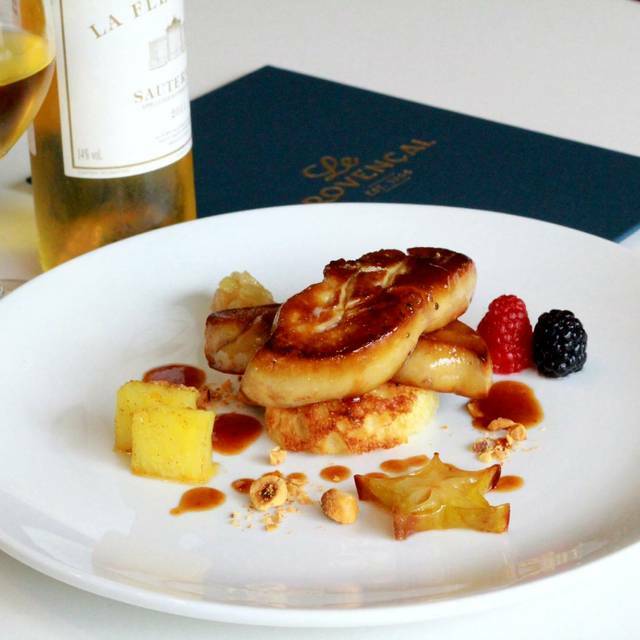 Delicious French cuisine as you can find in Miami !. The owner attention to service and food delivery impressed me a lot. Highly recommend and we will go back soon again. Excellent food served in a relaxed atmosphere. The menu includes a nice combination of classic French dishes and inventive offerings. Very attentive staff. We had an excellent experience at Le Provencal. 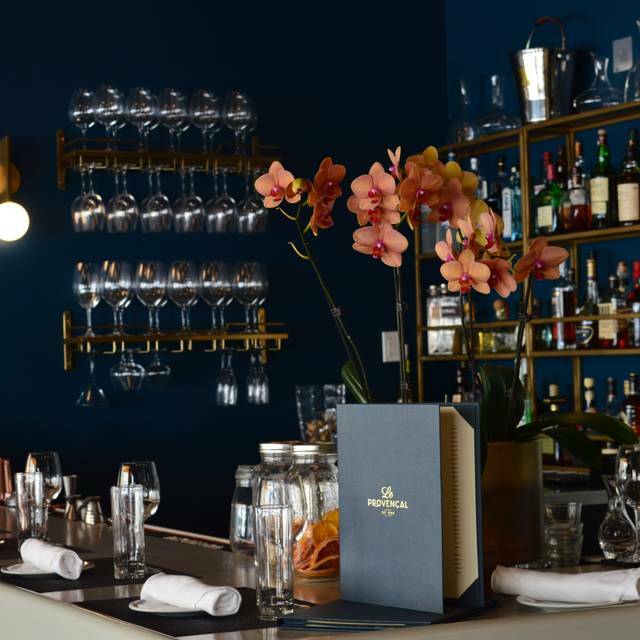 The food was divine, the staff was exceptional, and the atmosphere was perfect. Really no complaints and will be going back soon. We’ve been there twice in as many weeks. You won’t regret it reserve your table now. Excellent authentic french food. Onion soup. Pate. Duck. Scallops. I was expecting a nice Franch restaurant with white pressed linen tablecloths but what I found was more like a fast food joint with small round tables and no tablecloths. The noise level was so loud that we could not have a conversation. The only thing that saved the night was the fabulous food but honestly I can find great food elsewhere and. It deal with the noise. 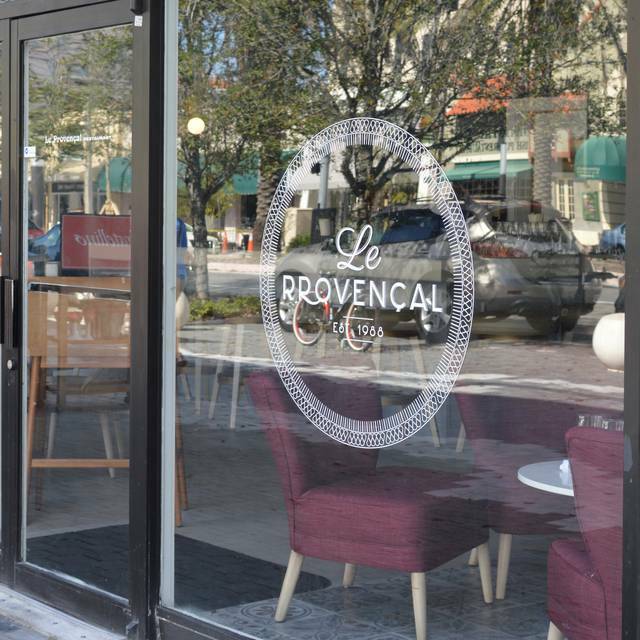 Le Provencal in the Gables is under new ownership, with a complete make-over and new menu. 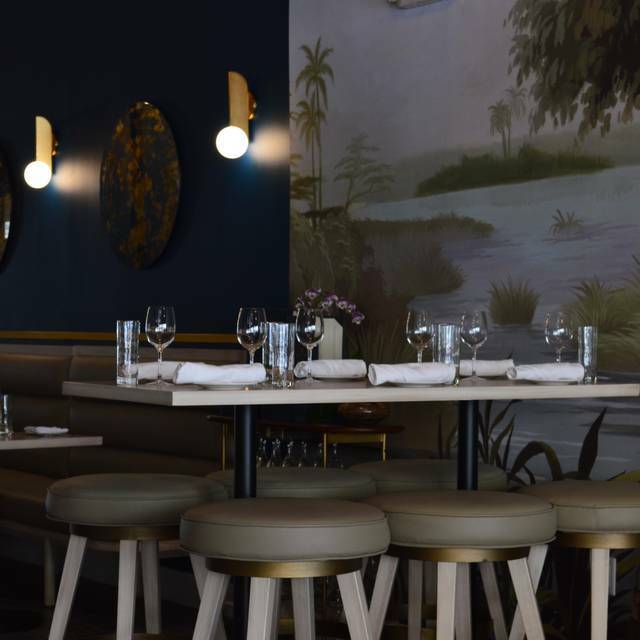 To recap, the old Le Provencal was exactly that – old. It was pretty good, but over time its customer base was eroding. So the old owners revamped the menu – not for the better, I’m afraid, which hastened the restaurant’s demise. New ownership has come in and remodeled the layout and the menu, with new chef and staff. Unfortunately the new owners kept the old name, thinking it had value. 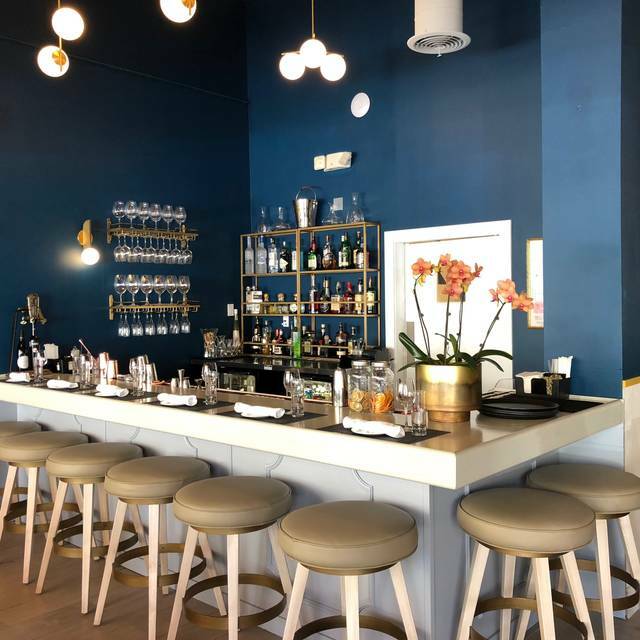 To the contrary, the old customer base has given up on the old owners, and the old name is a disservice to the new restaurant. This place is much improved with its new menu and chef, and the new owners would benefit from a new. When I was there recently, the sidewalk tables were bustling, but the inside was almost empty. 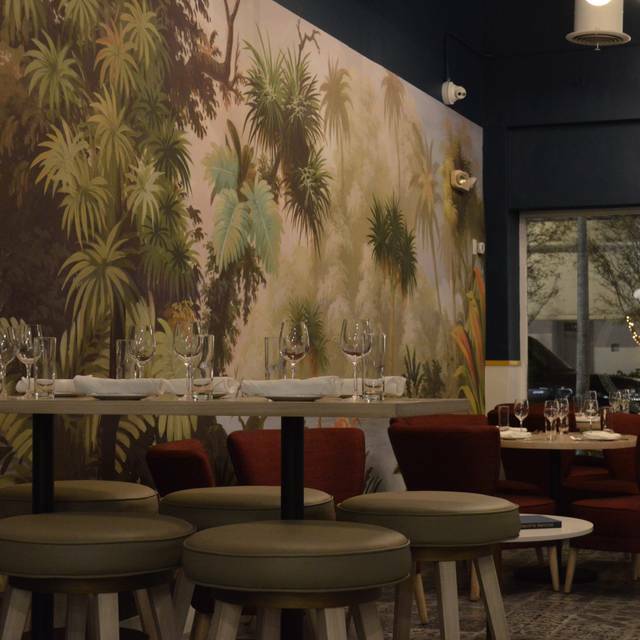 I hope diners rediscover Le Provencal because for the first time in a year, it’s good again.